One of the cities in Northern Oman that you might want to visit is the city of Nizwa. This city was once the capital of this country sometime in the 6th and the 7th centuries and is one of the many cities in this country that has a lot of history surrounding its existence. One of the areas of interest in the city that is part of this interesting history and is considered one of the prime tourist destinations in the area is the fort that was built by Sultan Bin Saif Al Ya’ribi in the 17th century. To get to Nizwa, you can catch a flight from Muscat or you can choose to get there by car. Nizwa is a place where you can absorb the culture and history of the country since it is considered to be one of the oldest cities in the country. Considered as a date growing center for Oman, it is then no wonder that Nizwa is also a popular marketplace for this agricultural product. Some of the places of interest you might want to visit when you come to Nizwa include the Falaj Daris, The Nizwa Souk and the Tanuf Ruins. The Falaj Daris is what provides all the water for the plantations in Nizwa and is called the life maintainer of the city. The Nizwa Souk is a place where you can get agricultural products that are grown locally, handicrafts, silverware, gold items and pottery for your souvenir collections. 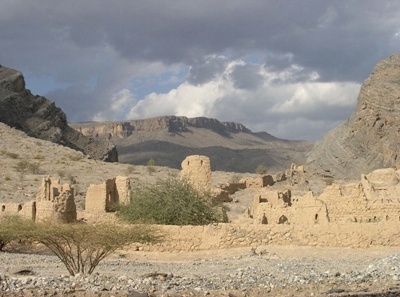 The Tanuf Ruins is found near Bahla and is a testament to the Imamate Rebellion of Oman in the 1950s.